There is a better way to get your daily dose of TV, music, movies and more without paying what many people feel are exorbitant monthly fees to a cable company or satellite provider. In an age when it seems as though everyone is glued to a smartphone, laptop or tablet, digital streaming services offer a convenient and relatively inexpensive method to access digital media wherever and whenever you want. Most people are familiar with progressive download even if they do not know it by name. Back in the day when iPods were the rage, you bought your favorite songs through iTunes or other online store and downloaded them to your device. The same was true with movies and other content purchased over the internet. Once downloaded onto your device for listening or viewing, the content was yours to keep. The downside of progressive download technology is being unable to access the content until it is fully downloaded onto your device. Storage capacity is another problem with progressive downloads because the content takes up space on your device. Digital streaming makes use of advances in technology that allow you to view or listen to the content without waiting for it to download onto your device. It is, essentially, on-demand content that delivers what you need as you need it. Unlike progressive downloads that take up space on your device, content accessed through digital streaming is not stored. This offers another advantage, besides not taking up storage space, by allowing you to access the content over multiple devices as long as you have access to the internet. One advantage progressive downloads have over digital streaming is the ability to access the content even when you do not have an internet connection because the content is stored on your device. The speed of your internet connection can also affect what you can digitally stream to your device. Slower connections could delay or cause interruptions in your ability to view or listen to the content you are attempting to stream. Digital streaming technology has given rise to what appears to be an ever-increasing number of digital streaming services offering movies, streaming music, video games and other forms of entertainment content. Most social media sites, such as YouTube and Facebook, offer free access to streaming video posted by the sites’ users, but if you are looking for movies and full episodes of your favorite TV series, you will need one of the paid services. Choosing from the many paid services can be a challenge. You want to match your media interests with the type of content offered by each provider to determine which one is best for you. 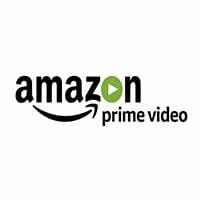 Amazon Prime: Frequently associated with free shipping on purchases made on the Amazon website, Amazon Prime subscribers also have access to streaming movies, music and TV. Many of the selections are free with the subscription, but users have the option of renting other content for an additional fee. CBS All Access: Subscribers pay a monthly fee to receive access to TV programming offered by CBS stations in 124 markets around the country. For a slightly higher monthly fee, subscribers can access the content without commercial interruption. DirecTV Now: Yes, this service comes to you from the company that also offers satellite TV for your home. The streaming service eliminates the satellite dish and provides internet access to up to 80 channels as part of a monthly subscription package. Netflix: The company that first comes to mind in the minds of many people when the discussion turns to digital streaming services offers different monthly subscription packages giving subscribers access to its library of TV and streaming movies. It has also offers its own exclusive programming. 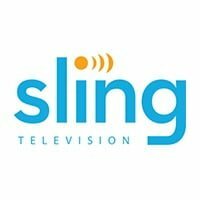 Sling TV: This is probably the service for anyone seeking access to most of the channels offered by traditional cable TV. Although it does not offer standard broadcast programming, it does offer many of the cable channels views favor. YouTube TV: The popularity of digital streaming as an alternative to cable and satellite subscriptions opened the door for YouTube to make the jump from streaming video posted by its users to a monthly subscription service. YouTube TV offers viewers all major TV networks, a DVR with cloud storage and many other features allowing it to compete with cable companies. 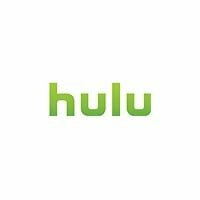 The list goes on and on with Hulu, Spectrum, Apple TV and iTunes among the companies offering digital streaming services from which to choose. Third party reviews can be quite helpful in selecting a service that suits your needs. No discussion of digital streaming services would be complete without mention of over the top media distribution. OTT media services, such as Netflix, Amazon Prime, and the other digital streaming services, offer content directly to consumers without going through the distributors or the companies in control of the content. For example, your subscription to Amazon Prime allows you to access content produced and distributed by HBO and Showtime. Amazon offers the content via its streaming service. 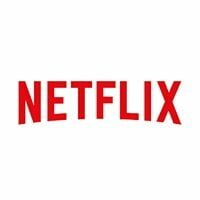 Using Netflix and the other digital streaming services does not violate the law, but there are methods used by some people to access digital content without paying a monthly subscription fee to a service provider. So-called torrent sites offer people access to streaming movies, streaming music and streaming video uploaded to the sites without permission of the owner of the copyrights to the content. Pirated content violates copyright laws and is illegal. You can avoid supporting illegal streaming services by only using reputable services. Amazon and other reputable services obtain licenses for the use and distribution of copyrighted material.